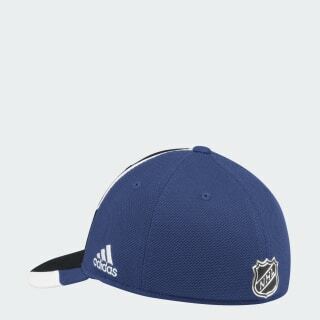 A colourful hat for Toronto Maple Leafs fans. Rally with the Leafs as they eye a lengthy post-season run. This cap features a pre-curved brim and bold blocks of Toronto's team colours. An embroidered Maple Leafs graphic on the front declares your loyalty.